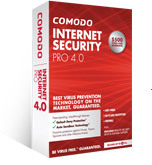 Comodo has surpassed the VeriSign brand in the number of SSL Certificates currently in use. Based on independent research conducted by Netsekure.org, Comodo has now supplied 15% more valid SSL Certificates to Web sites than VeriSign has. This data is also reinforced by Comodo's extensive research of over 1.5 million valid SSL Certificates. In a recent blog post, VeriSign's Product Marketing Executive, Tim Callan, stated that the Netsekure.org research is an "excellent piece of work" which may accurately reflect market share, specifically the million largest Web sites. Comodo's proprietary Web crawler has randomly analyzed a sampling of over 1.5 million valid SSL certificates, and out of the 1.5 million SSL certificates sampled, 210,000 were valid Comodo SSL certificates, while 175,000 were valid VeriSign SSL Certificates. This reinforces the Netsekure.org data because there was only about a 1% difference between the two separate results. To review crawler up-to-date analysis, visit http://www.whichssl.com/ssl-market-share.html. Do you have a comment or a question about this newsletter? Do you have suggestions for our future newsletters? E-mail us! We'd love to hear from you!